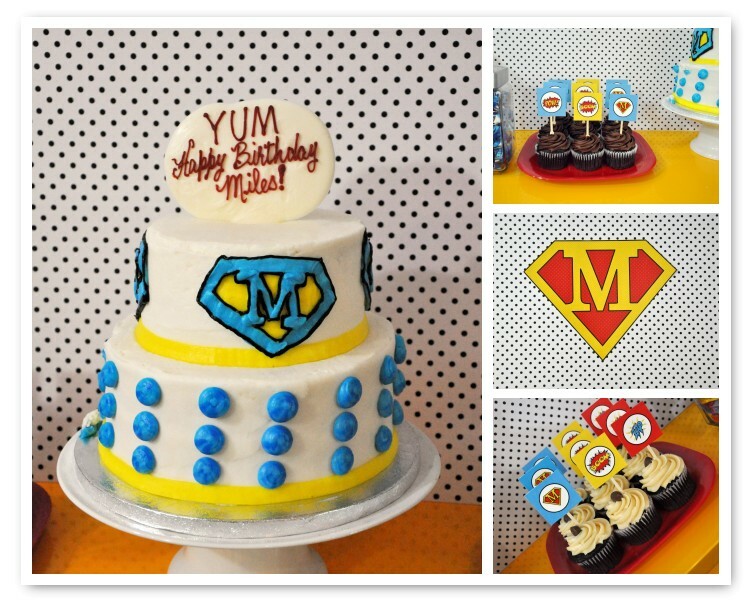 My fabulous friend Lisa of my innerfashionlogue blog, put together an adorable super hero themed first birthday party for her son Miles on Saturday! I had the pleasure of attending and photographing this fun gathering of friends, family and lots of food! 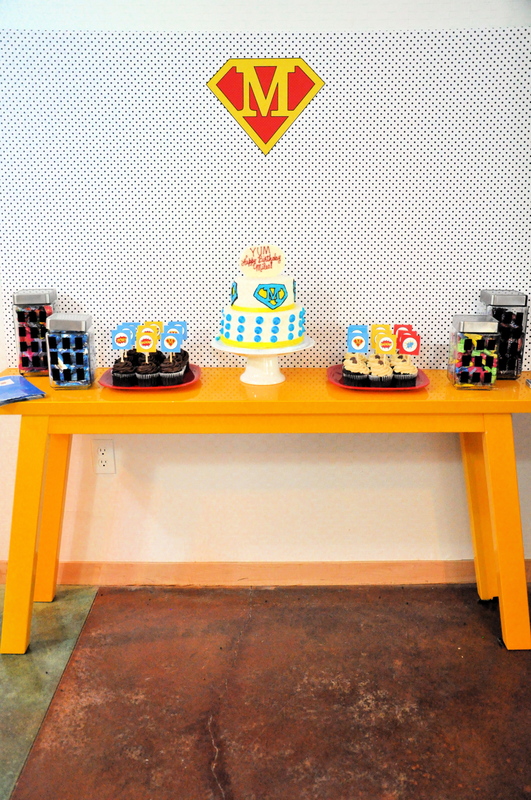 There were many fun details throughout the party and some of the most delicious birthday party food I’ve ever enjoyed! The peanut butter cup cupcakes from Sweet Retreat Cupcake Boutique were to die for! So good! A close-up shot is below to make you drool. Noteworthy—Sweet Retreat will compete on Cupcake Wars on The Food Network tomorrow night at 7 p.m. They are THAT good! So many cupcakes, so little time! Lisa offered five different flavors of cupcakes! It was tempting to try one of each, but I stuck to one! Word from all of the party guests was that they were all amazing! 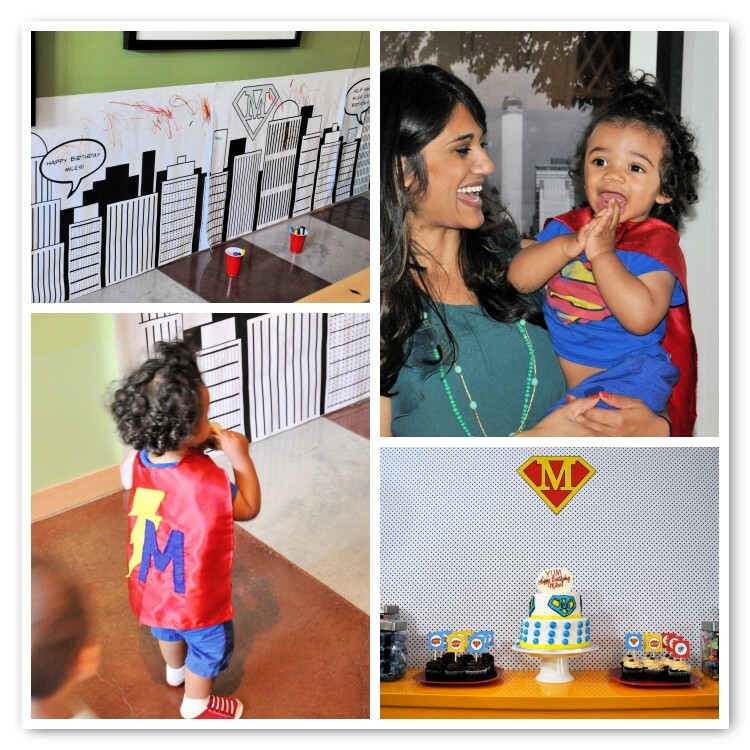 Photos from top left clockwise—A fun coloring wall for the little ones, Lisa and her super hero Miles as guests sang happy birthday!, Miles showing off his fabulous cape, and that lovely dessert table. 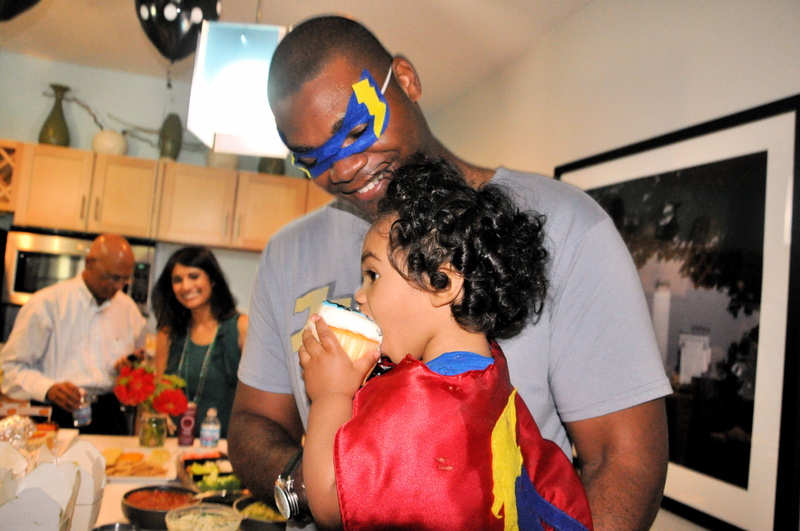 Above—Miles enjoying his first birthday cupcake with his dad, and his mama looking on from the distance! Photos above from left to right—Miles and his grandma (who made a lot of the food from scratch! ), the party logo and my little super hero Bodhi! One more peek at the dessert table before I share all of the vendor info! So excited to plan for Bodhi’s first after this inspiring party! 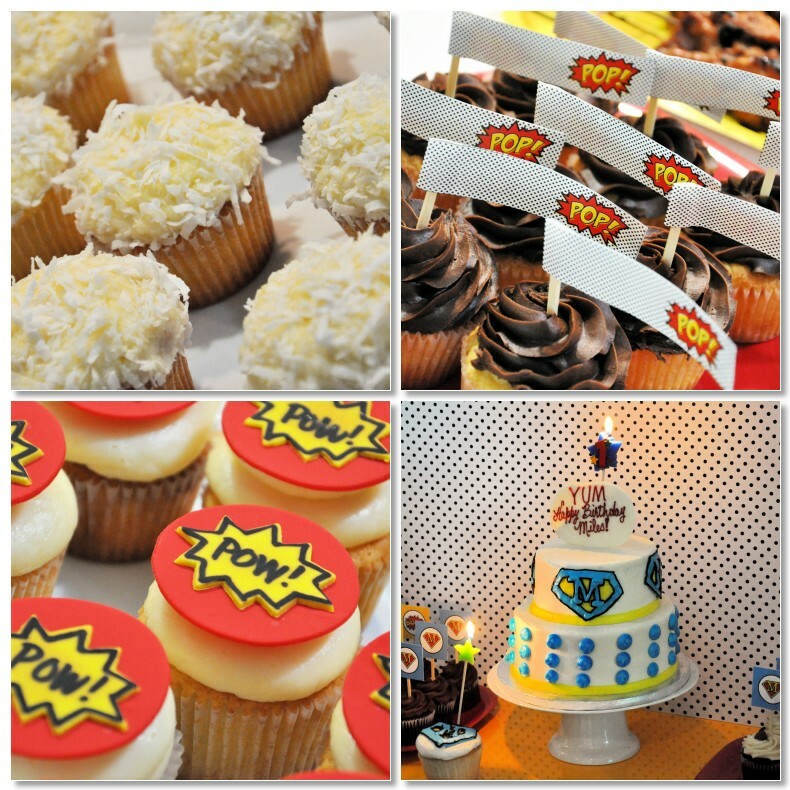 7 Responses to "super fancy super hero 1st b-day party"
Thank you for capturing all the details!! Love the post!! Great party Lisa! It was adorable. Thanks, Jana! Sorry we were not able to chat more. Hope we can get together soon! Wonderful ! 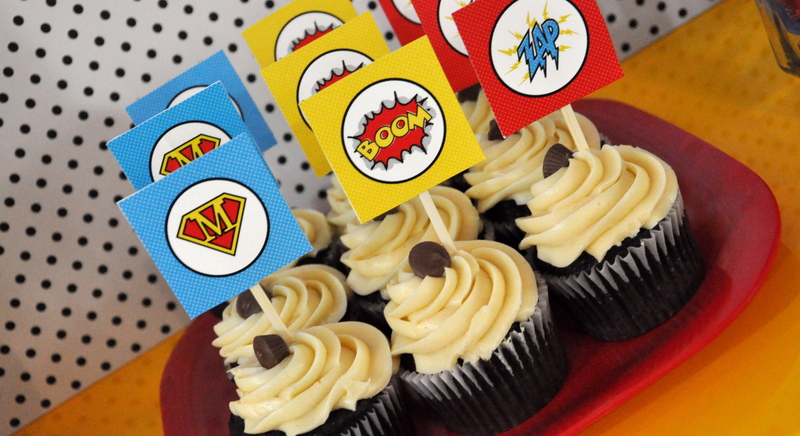 Thanks for these ideas… I want to make a birthday party with this theme (for my boy who will turn 4 soon) !